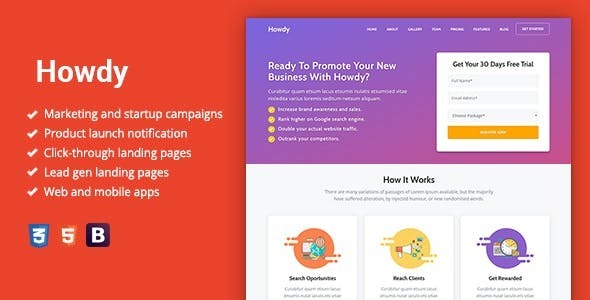 Howdy – Multipurpose High-Converting Landing Page WordPress Theme is a clean and modern high-converting landing page template, very easy to customize according to your needs. This landing page template can be used to promote web apps, mobile apps and all kind of marketing and startup websites. Quick and easy to setup. + Add Options allow change color, content in some elements. + Fix Bugs some Elements.